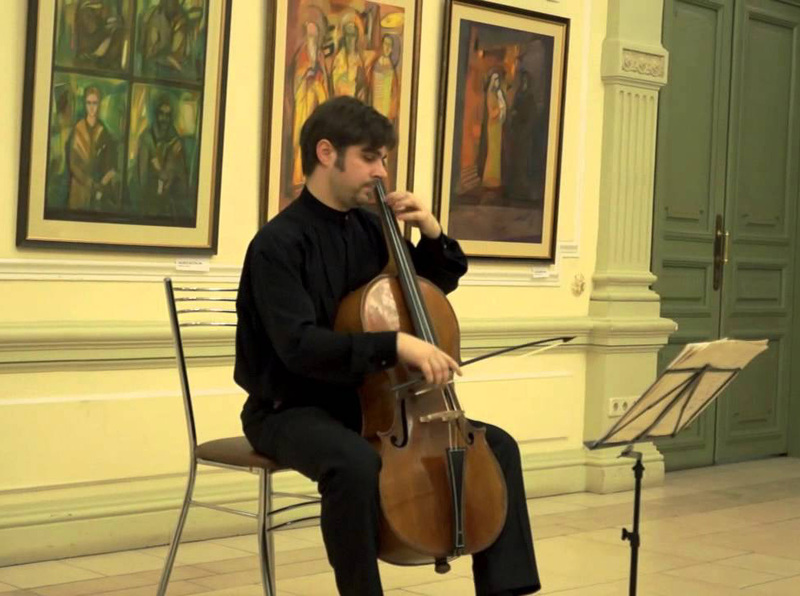 Pavel Serbin plays the cello and viola da gamba. He is also a teacher at the Moscow Conservatoire, a founder of the ensemble A la Russe and both soloist and artistic director of the orchestra Pratum Integrum. Born in Moscow in 1978, he graduated from the Gnessin Music School (studied with Honoured Culture Worker V.M. Birina) and the Moscow Conservatoire (among his teachers: professors Dmitry Miller – violoncello, Alexander Rudin – Chamber music, Alexander Galkovsky – Quartet). He has also attended classes at the Royal Academy of Music in The Hague taught by Jaap ter Linden (Baroque cello) and Wieland Kuijken (viola da gamba). Serbin has won prizes at the Bruges Early Music Competition (1999, as part of the Gassenhauer Trio) and the competitions Premio Bonporti and Van Wassenaar (2000, in a duet with Olga Martynova). His dissertation was on cello music composed in Russia from the late 18th to early 19th centuries. In 2003 he was among the founders of the orchestra Pratum Integrum, which performs on period instruments. Pavel Serbin determines their repertoire policy and the orchestra now plays an important role in Russian culture. At his initiative Pratum Integrum has performed some two hundred compositions from the 17th to 19th centuries, many never heard before in Russia. As a soloist Serbin has presented to the Russian public for the first time chamber cello pieces by Jan Bohumir Prac, Johann Henrich Facius, Gottfried Rieger and Jacob Klein. Serbin has played with the Academy of Ancient Music (London) led by Christopher Hogwood and Paul Goodwin, the orchestra Moderntimes_1800, the Bergen Barokk ensemble, and others. Since 2008 he has taken the role of conductor. Under his direction Pratum Integrum has performed symphonies by Haydn, Rosetti and Wanhal, as well as Fomin’s melodrama Orpheus.